Genuine Cherry plaque with green marble engraving plate with Florentine border. Individually boxed. 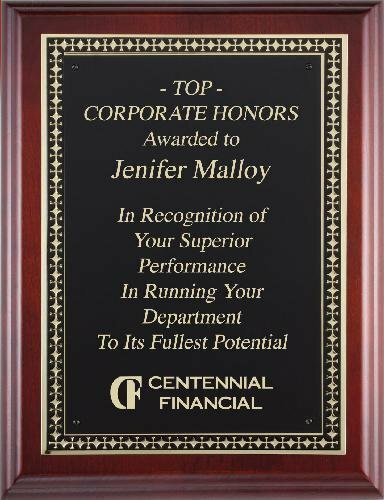 This cherry corporate plaque is an excellent choice for almost any awards and recognition presentation including sales awards, achievement awards and employee awards recognition events. Genuine Cherry plaque with single black engraving plate. Individually boxed. This cherry corporate plaque is an excellent choice for almost any awards and recognition presentation including sales awards, achievement awards and employee awards recognition events. Genuine cherry plaque with black engraving plate and embossed back plate. Individually boxed. 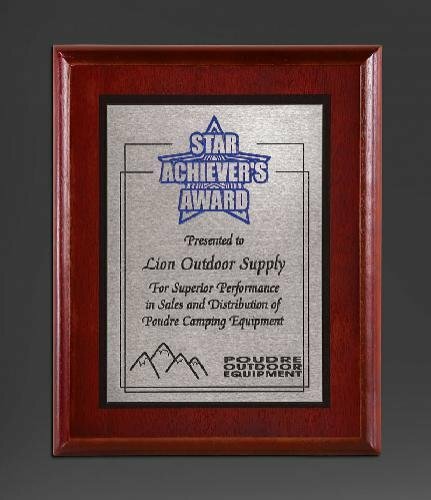 This cherry corporate plaque is an excellent choice for almost any awards and recognition presentation including sales awards, achievement awards and employee awards recognition events. Genuine Cherry plaque with black engraving plate with Florentine border. Individually boxed. This cherry corporate plaque is an excellent choice for almost any awards and recognition presentation including sales awards, achievement awards and employee awards recognition events. A traditional plaque made of dark cherry finished wood with a gold tone zinc plate accented by a decorative black screened border. This traditional plaque is made of dark cherry finished wood with a silver tone zinc plate accented by a decorative black screened border. Cherry finish perpetual plaque available in black laser engraved to gold color header plate and perpetual plates. 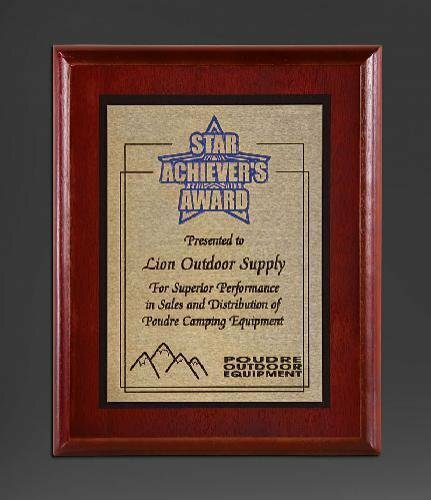 These perpetual plaques are available in three different sizes to meet your needs.